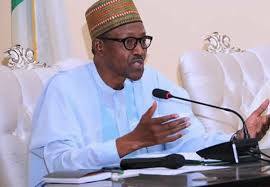 President Muhammadu Buhari says the high revenue earned under previous governments from the sale of crude oil and other sources did not translate to job creation and eradication of poverty in Nigeria. The News Agency of Nigeria (NAN), reports that the theme of the summit is “Poverty to Prosperity, Making Governance and Institutions Work’’. Deliberations on the summit would focus on five key areas of Sustainable Economic Opportunities, Human Development, Effective Public Institution Corruption and the Rule of Law and Human Development.